Located in the south-eastern area of Lake Pichola, Dudh Talai, Udaipur is one of the must-see places in the city of Udaipur. The moment we decided to make this place as our sightseeing spot for the day, the reception advised to pick a picnic hamper from the Hotel Restaurant because most locals and informed tourists visit the place with their own provisions of lunch to enjoy in the beautiful setting of the lake and the parks that adjoin the area. Much was being talked about the place and that piqued our curiosity even further as we finally boarded our rental car to make way to the spot. 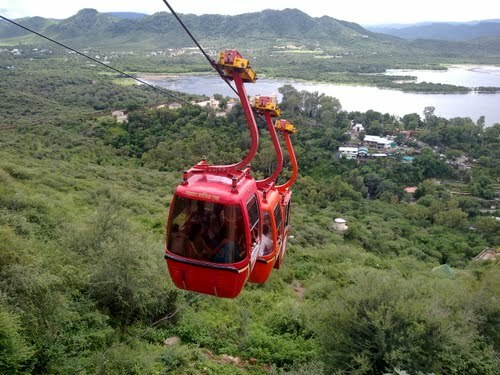 All in all, there were three points to cover in the lake’s picturesque setting – the Manikya Lal Verma Garden – a rock garden near Dudh Talai, the Pandit Deen Dayal Upadhyaya Park – a separate garden, which has a beautiful musical fountain to boast, and the Ropeway, which connects to the Machhala Hill where the famous Karni Mata’s temple could be visited. The Verma Garden could be accessed through a flight of steps or through vehicular transport. Constructed by the Municipal Council, Udaipur in the year 1995, the garden is well maintained and has been landscaped to perfection. The ringing sound of the cascading water in the streams is sweet music to the ears which surprisingly felt very soothing. After a quick tour of this garden we stopped by the Upadhyaya Park where the locals recommend the Musical Fountain which dance to the tune of music after the glorious sunset that can be especially breathtaking from here. We would have to hurry up to the Ropeway to make the quick pilgrimage to the Karni Mata because soon after that the Musical Fountain would commence. We paused to delve into the picnic hamper to snack on the food stuffs that we had bought from the hotel. The views from above the hill-top were simply superb and the entire skyline was very impressive. 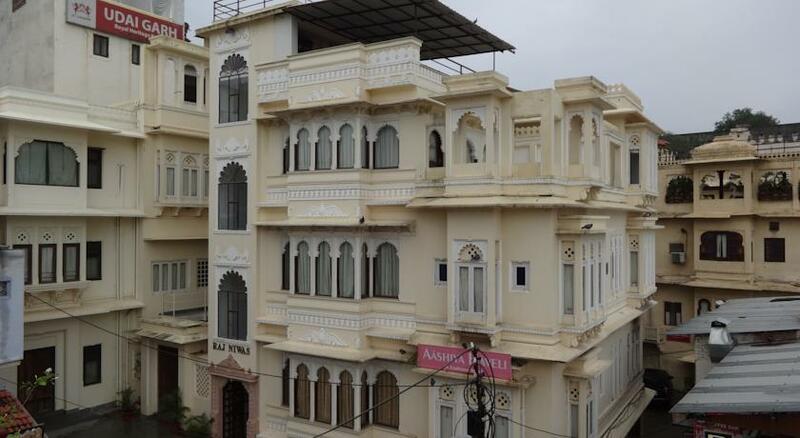 So much could be done at the Dudh Talai Udaipur, and in general in Udaipur. The next day we had the day reserved for the Gulab Bagh and Zoo Udaipur and I was excited beyond words. 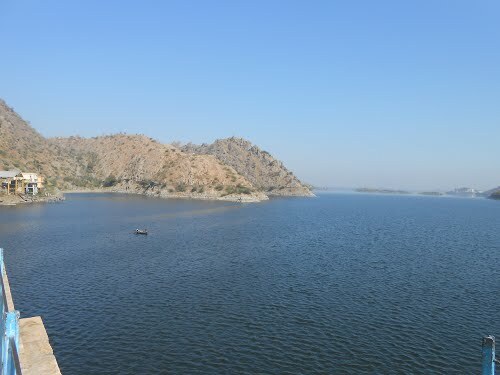 Jaisamand Lake, Udaipur is hailed as the second largest artificial lake in Asia. We were very excited to go to this location as it would also entail a long drive in the suburbs of the city since the lake was 48 kilometers away from the city. The picturesque suburban area of Udaipur can be a treat to the eyes too. Interestingly, Jaisamand Lake is also called Dhebar. This lake was constructed by Maharaja Jai Singh while he made the dam on the River Gomti in the year 1685. There are seven islands around the lake, one of which is still lived by the Bhil-tribe of the area. The drive was just as I expected it would be very enjoyable while we cherished each other’s company and listened to the music blaring out of the rental car’s audio systems. Some of the simple pleasures of life are so rare lately that I sat back and enjoyed the scenery and the music along with my friends. Soon we reached the peaceful surroundings of the lake and we availed the boat ride almost instantly. The calm waters of the lake and the scenic beauty around were all very captivating. The one who rented the boat tried to enlighten us about the history of the place and pointed out the Palace in the southern embankment of the lake. The palace boasted of a pavilion and is a great vantage point to view the beauty of the lake. Another important place to cover was the Sanctuary near the lake which was constructed in 1957 to give shelter to animals like panthers, wild boars, deer, crocodiles and a large number of residential and migratory birds that the bird-watchers love to spot. 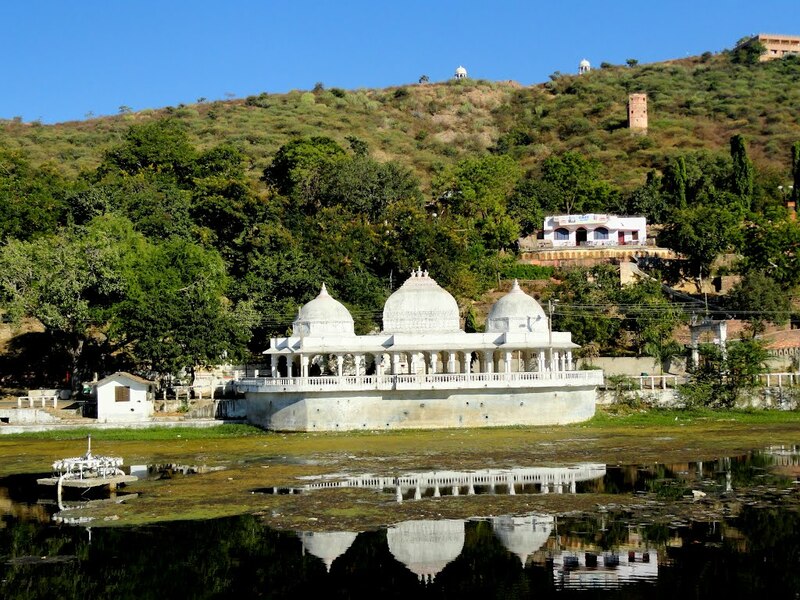 The rulers of Mewar had the Jaisamand Lake, Udaipur as one of their favorite spots and the proof of this fact was the Summer Palace of the Queens of Mewar, which stood majestically near the lake. We enjoyed tremendously in the beautiful surroundings but reluctantly had to take leave because Dudh Talai Udaipur was next on our agenda and any more delay would have jeopardized our following plans for the day. Description : The City Palace of Udaipur is built by the Mewar Kings over a period of several years. It is built in flambuoyant style and is the largest of its kind. It is situated on the banks of the Lake Pichola. Several kings contributed in making the palace in over a period of 400 years. 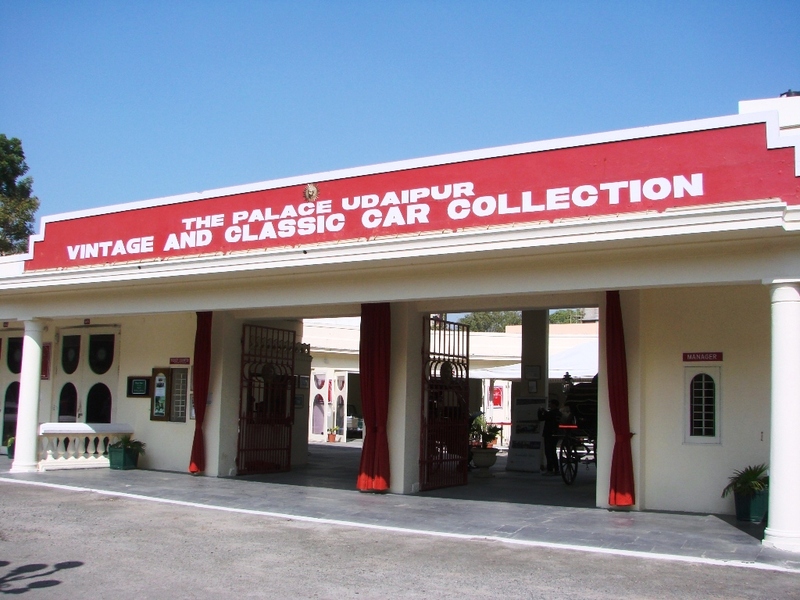 This day was special; we were to go to see the Vintage Collection of Classic Cars Museum, Udaipur as a part of our sightseeing. I had already raked my head over the excursion with the travel desk in the hotel where we were staying. The attendant there offered me two options – one which included the visit to the Museum and lunch/dinner at the Garden Restaurant, which was very famous there. This could be bought at a cumulative cost of Rs.250 for each adult. Or alternatively we could take the Sunset Package, which included the visit to the Car Museum and also a boat ride, refreshments and soft drinks with crystal and vintage touches at rupees 1200 per adult. The first one sounded better because the Garden Hotel, where the restaurant is located is famous for the Rajasthani ‘thalis’ that they serve there. Away from the noise of the streets is the huge courtyard, which had the royal garage in it. It had all the rare and classic old cars on display, which remarkably are also in full working condition. The cars like the 1936 Vauxhall, the 1939 Cadillac open convertibles, the rare models of Mercedes and several others unique cars could be seen up close. These cars used to be customized and imported at the behest of the royalty and were used since the time when the only cars that traversed the streets of Udaipur were cars that belonged to the royalty alone. There is an exclusive petrol pump for the cars, which seemed befitting to the beauties that were being housed here. The sight was truly something that I had never imagined. This modern monumental space of sorts had me imagining a scene from the past when the bejeweled Maharaja would be stepping down to get into one of his customized superior cars to commute on the roads. 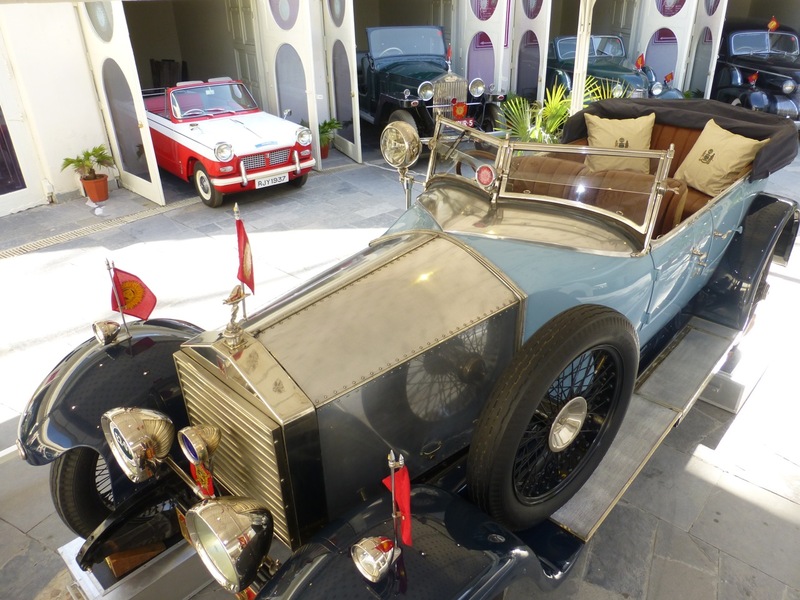 The Vintage Collection of Classic Cars Museum, Udaipur was an experience that cannot be explained but simply felt. Later that day we were to go to the Jaisamand Lake, Udaipur and going by the likes of the day, we would have a very fulfilling day I was sure. The train travel had left us quite fatigued. Once in the car to the Hotel Aashiya Haveli, Udaipur, I prayed that the hotel be every bit it claimed to be in the internet. The online pictures of the family run hotel were very compelling but the moment we set our eyes on this heritage hotel, it surpassed all our expectations. It is one of those rich palace-looking hotels overlooking the lake where the staff also accords you a befitting royal treatment. The end result is that you are spoilt to no ends and the entire experience is grander with every minute passing by. Most of our fatigue vanished as we checked in because the décor of the place was so intriguing with arched doorways and attractive jharokas that we were keen to explore the entire hotel at once. But as soon as the luggage was placed in our rooms and our heads hit the pillows, the fatigue took over and we were snoring to sleep off our tiredness. A couple of hours of the much required nap and we were fresh once more and were really hungry. I guess travel does that to your system. We had adjoining rooms, which was such a convenient thing to have and the next thing I know is we were at the hotel’s restaurant ordering dishes from its delectable menu. The menu was awesome and the aroma dishing out of the nearby kitchen was killing us. A quick consultation and the food were ordered. It was everything that we were expecting it to be – tempting, tasty and terrific. Once we had licked our plates clean, only then were we able to pay attention to the rest of the lovely features of the Hotel Aashiya Haveli, Udaipur. We made way to the open terrace that overlooked the lake and the breeze was blowing gently. The whole atmosphere was intoxicating. The experience of dal-baati-churma at Udaipur that the hotel restaurant had promised us for the next day lunch was something to look forward to. After the stroll in the hotel terrace, we retired to our rooms. Description : Lake Pichola is an artificial fresh water lake of Udaipur. It was created in the year 1362 AD. It is named after the nearby village Picholi. 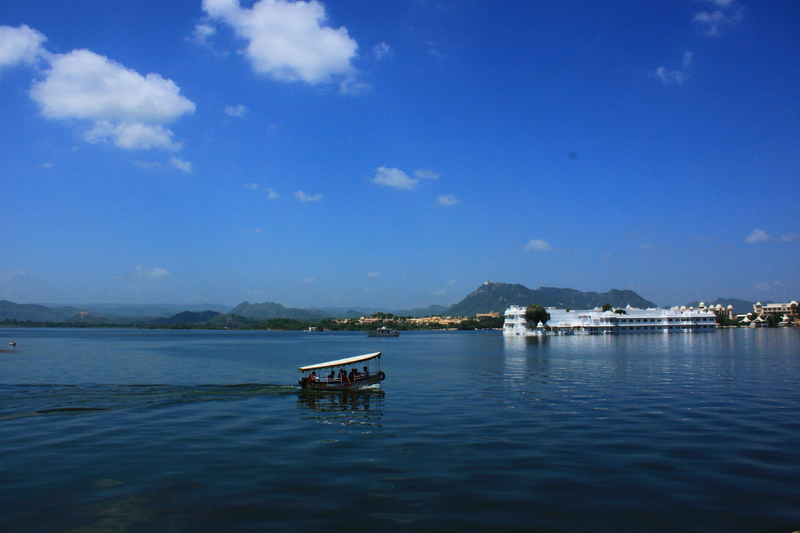 Jag Niwas and Jag Mandir are two islands located within the premises of the Pichola Lake. It is a very common tourist destination in Udaipur. The next morning at Udaipur was also very relaxing; the city possibly was making me sleep better and longer. All of us were having such a good time that often I would wish that the trip should never end. How naïve that sounded but it was sincerely and collectively felt by all of us. 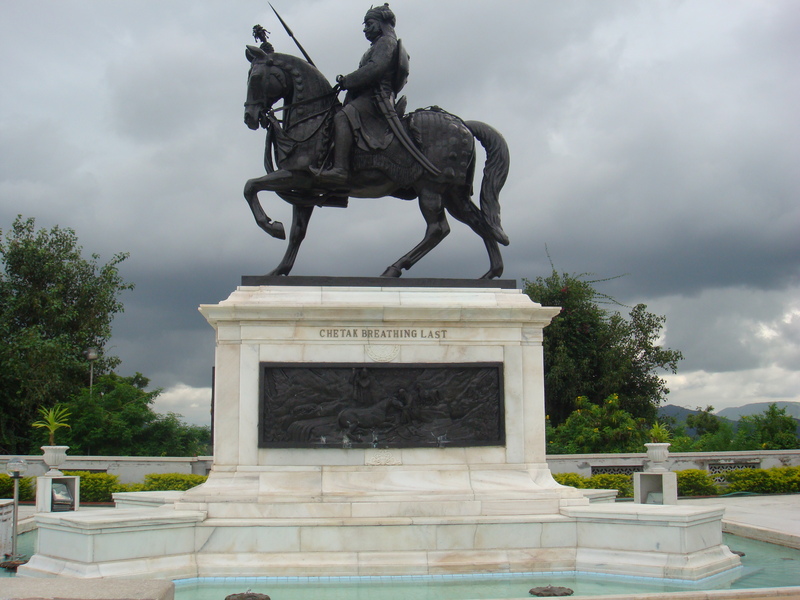 This day was meant for the sightseeing at the Maharana Pratap Memorial, Udaipur and we had the car ready to take us there. The Memorial is atop the Moti Margi or Pearl Hill and is at such a height that breathtaking views of the city of Udaipur can be seen from there. 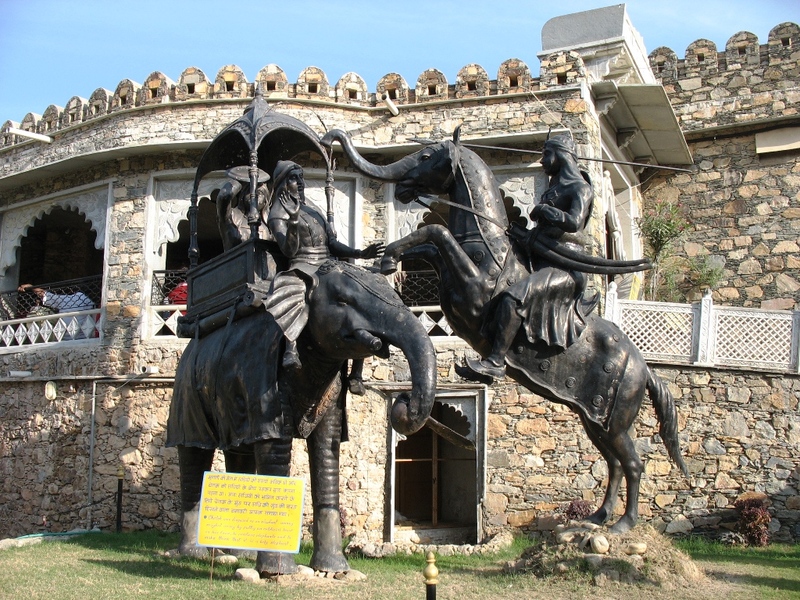 The highlight of the place is the bronze life-size sculpture of Maharana Pratap and his faithful horse, Chetak. Maharana Pratap was the King of Mewar who had fought many a battles with the Mughals valiantly to save the Rajputs from being a part of the Mughal dynasty. For him, the independence of his state was of paramount importance. The car had dropped us close to the Memorial; from the height what a view it was! The city of Udaipur looked beautiful. The whole view was very picturesque and we clicked pictures with them as our background. It helps to have pictures of places that one travels. They are instrumental in keeping the memories of the time spent fresh in our minds. The tall structure of the statue is imposing and is a live testimony to the bravery of the Maharana. Also commendable is the view of the Fateh Sagar Lake from the Maharana Pratap Memorial, Udaipur. The vast expanse of the calm lake was a picture of serenity. We visited the nearby Japanese rock garden which was quite impressive. The sun setting against the statue looked phenomenal further mystifying the crucial role of the Maharana in the pages of history. As we bade farewell to the place, we left with an acute sense of pride with all the legendary stories of the great ruler as the guide rattled them off. The next day we had the most amazing destination chalked out- the Vintage Collection of Classic Cars Museum, Udaipur and I could not wait.